Get Join PAF as GD Pilot 2019 Registration for Commissioned Officer | joinpaf.gov.pk at this page of our site. 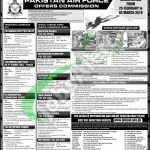 Pakistan Air Force has announced Advertisement 01 / 2019 for the male/female individuals who wanted to Join Air Force 2019 as Commissioned Officers through Permanent Commission (PC) in (General Duty Pilot, Aeronautical Engineering and Air Defence Branches, Special Purpose Short Service Commission (SPSSC) in (Engineering and Education Branches) and Short Service Commission (SSC) in (General Duty Pilot (Female), Met Branches, Accounts and Information Technology Branches). PAF has proved itself to be the best Air Force in the world and it happened only due to its brave and passionate staff like pilots, air defence controllers, aeronautical engineers etc., on other side PAC Pakistan Aeronautical Complex Kamra is playing important role in the success of PAF by providing top class air jets, drones, and other war equipment, recently JF-70 Thunder developed by the talented engineers of PAC Kamra which is remarkable achievement for Pakistan Air Force. Now, all those individuals who wanted to serve the nation by joining PAF need to focus here because to fulfill their dreams Air Force has announced career opportunities and complete information related to this announcement is provided by this paragraph. A candidate must have passed with at least 60% marks in aggregate in any of the following. F.Sc (Pre-Engineering / Pre-Medical / Computer Science) is required to apply. F.Sc with Physics and any two subjects like Statistics, Maths, Computer Science or Biology is required to apply. ‘A’ Level with Physics and Maths or Biology is required to apply and those with ‘O’ Level in above five subjects are also eligible to apply. (i) FSc (Pre-Engineering) with Chemistry as a Subject. MA Islamiat 2nd Division with Farigh/Fazil Dars-e-Nizami (Shahadat-ul-Almiah) from any recognized Madrassah Board of Pak. Qualification: MCS/BCS (Hons)/BS in Computer Sciences (CS), IT, Software Engineering, Information Security/MSc in Computer Science with Minimum 2nd Division from Pakistani/Foreign University recognized by HEC. Nationality: Male Pakistani citizens of Pakistan can apply. Age: should be between 18 to 30 years. Height for Male: 5’ Feet and 4” Inches / 163 cm. Marital Status: Married / Unmarried can apply. Qualification: B.Com (4 Years)/BBA (4 Years)/M.Com/MBA/ACCA or ACMA/BS (4 Years) Accounting & Finance with Minimum 2nd Division from Pakistani/Foreign University recognized by HEC. Qualification: LLB 2nd Division from a recognized Pakistani/Foreign University recognized by HEC. Age: should be between 21 to 30 years. Qualification: MSc/MS in Met, MSc Physics, MSc Maths with Minimum 2nd Division from Pakistani/Foreign University recognized by HEC. Individuals meeting criteria should apply via online through www.joinpaf.gov.pk or through web link provided on this page. Those who don’t have access to the internet should register themselves by appearing at nearest PAF Information & Selection Centers located in every major city of Pakistan. Online Registration will start from February 25 to March 03, 2019. No Traveling Allowance and other allowance will be paid for the selection procedure. For further information about the selection procedure / initial test / physical test / medical test keep in touch with our site JobsAlert.pk. Last Date to Apply: March 03, 2019. Above we discuss Join PAF as GD Pilot 2019 Registration for Commissioned Officer | joinpaf.gov.pk for which Male/Female individuals from all over Pakistan possessing Masters/Bachelors/Intermediate qualification for the relevant course are welcome to apply via online before the deadline. Please Read this before commenting. No Personal Information e.g. Phone No., Address, Email. What We Are About? We bring top class jobs from Pakistan news paper. 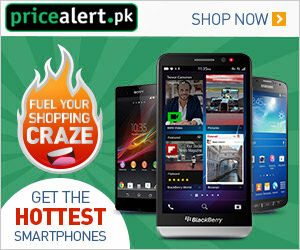 We provide the best quality of all news paper advertisement. JobsAlert.pk have all Government jobs for all candidates, who have ability to join these jobs. Also we have some entertainment stuff for all users. But our focus to provide jobs of Assistant Jobs, Technician Jobs, Doctor Jobs, Teacher Jobs, Government Jobs, Lecturer Jobs, Private Jobs, PPSC Jobs, Educators Jobs, Consultant Jobs, Driver Jobs, WAPDA Jobs, PAk Army Jobs, Professor Jobs, PAk Air Force Jobs, Dubai Jobs, FPSC Jobs, NTS Jobs. Copyright © 2018 JobsAlert.pk - Jobs in Pakistan. All rights reserved. Reproduction of material from any JOBSALERT.PK pages without permission is strictly prohibited. Click on ALLOW to get jobs notifications.